It is currently estimated that roughly 50,000 Americans are affected by some form of muscular dystrophy and many others by the various forms of myopathies. Animal models are critical for our understanding of the numerous muscular diseases that affect people and for the development of targeted gene therapeutics to treat such diseases. Our current understanding of the pathophysiology of these diseases would not be possible without the aid of animal modeling. Multiple animal models have been described, including mice, cats, dogs pigs, etc. ; however, the discussion in this chapter will primarily focus on mice and dogs because these two animal models have been more rigorously researched and described. 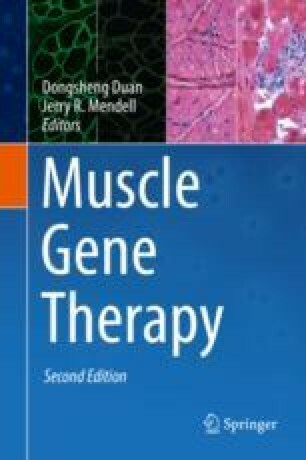 The overall objectives of this chapter are to review the available animal models and their limitations, disease-specific mutations, clinical disease manifestations, and recent advances in associated therapeutic modalities for various muscular disorders, with a focus on dystrophinopathies and limb-girdle muscular dystrophies.